If discussions at a recent research for development meeting in Addis Ababa, Ethiopia, are to be believed, transformations are afoot at the intersection of gender equity and capacity development work in the strategies and approaches, if not (fully) yet on the ground, of the CGIAR Research Program on Livestock and Fish. Development experts these days will, to a man and woman, insist that we need to do more to empower (poor) women in developing countries. A particularly popular target are the women who grow most of the food their families and communities, and their cities and nations, are consuming. Such ‘gender focus’ is all the rage in agricultural research for development circles. So far, so good, but just what does a ‘gender focus’ look like that actually makes a difference in the lives of some half a billion women producing food in the face of severe material and resource poverty? Scientists working on gender issues in a new(ish) research program aiming to make more milk, meat and fish available to the poor and to improve food safety in informal markets think they may have a handle on this. They call their approach ‘gender transformative’. Basically, that means they’re ambitious to increase women’s income from, and employment in, livestock and fish ‘value chains’ in ways that transform, rather than merely incrementally improve, those livelihoods. At the Addis meeting, presentations were made and discussions held on results made so far by gender scientists and country partners from Africa (Egypt, Ethiopia, Kenya, Tanzania, Uganda), Southeast Asia (Malaysia) and Central America (Nicaragua) involved in the Livestock and Fish research program. Participants heard about an extensive ‘in-depth women-retailer only analysis’ conducted in five Egyptian governorates that support the formation of women retailer committees. The Livestock and Fish program helped members of these committees improve their links to markets and supported them in engaging in public-private partnerships with local governments to construct marketplaces tailored for small- to medium-sized fish sellers. In another example, members of a project on Livestock and Irrigation Value Chains for Ethiopian Smallholders (LIVES) developed guidelines for mainstreaming gendered approaches to development for the project’s partners at both national and local levels and in both the public and private sectors. 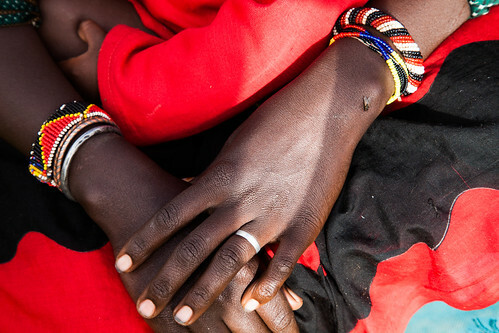 In addition, research on food safety and health in Ethiopia led to a research summary report of gender-related consumption practices, as presented here. The issue of food safety and health is crucial in livestock products and as described in this ILRI Livestock Exchange issue brief, safer food can generate both health and wealth for the poor. If women are supported in this area, they have better chances of competing in the markets with higher quality products. On one day, the workshop participants travelled to central Ethiopia’s West Shoa Zone to visit the Biruh Tesfa Dairy Cooperative, the Hunde Hajebatu Small-scale Irrigation Women’s Group, the LIVES Knowledge Centre in the Zonal Office of Agriculture and a model farmer engaging in a traditional mix of livestock keeping, crop farming and beekeeping. The field trip gave the workshop participants an opportunity to observe at firsthand issues affecting small-scale Ethiopian food producers regarding capacity development, ‘gender transformative’ approaches in that capacity development work, agricultural value chains, and gender-related impacts on household nutrition. These field visits served to underscore a need to apply a gender focus to capacity development work. A similar lack of knowledge about technological options available for Ethiopia’s many small-scale farmers was observed in the gender group’s visit to the Hunde Hajebatu Small-scale Irrigation Women’s Group, which is growing and selling potatoes. After receiving a government loan, this group had a hard time identifying technological options they could use to improve their irrigated potato production. They have not been able to improve their production levels over the three years they have been in existence. Although various options exist for improving small-scale irrigation technologies such as those used by this group, Abebeu Gutema, the group’s leader, says the women do not know where to get hold of this information. Later in the tour, the gender group visited Gadisa Gobena, a farmer active in dairy production, livestock rearing, beekeeping and crop farming. Over 50 and well past retirement age, this former schoolteacher is now pursuing his passion for agriculture. Gobena keeps more than one hundred dairy cows on his farm. And though he is at times challenged to market all of his milk, he plans both to increase his stock and to invest in improved dairy technologies for making greater efficiencies and profits. Gobena now employs some 40 people. While the previous groups visited had little information about, or exposure to, latest technologies that could boost their production and diversify their products, Gobena is looking to acquire milking machines and other technologies to enhance his operations. One likely reason for his outward-looking approach is his travel to other countries, where he saw and learned about emerging trends and technologies in small-scale agriculture and its potential. He recently successfully applied for a business loan. Understanding the importance of sharing his knowledge with other farmers and exposing them to new ideas, Gobena gives back to his community through a farmer extension training centre that he has established. His centre provides 50 to 70 farmers with free training, agricultural information, and seeds, insecticides, livestock drugs and other farm inputs at minimal cost. The centre includes demonstration plots where the farmers can observe different farming practices. Gobena is clearly a ‘change maker’ for his farm community. The LIVES project and gender visitors have a job now to try to determine what has most encouraged Gobena in his development of his own capacity and that of his community. What came first? Did his confidence push him to take the first step in farm improvements? Or did his farm success build his confidence? Was it business sense that set him apart? Or did he acquire that along the way? While effectiveness of the previous groups in maximizing their agricultural production is limited by lack of access to knowledge about the available technological options and leadership ability, Gobena’ s success in his farming activities can be attributed to having been influenced by these three issues. Following the gender workshop in Addis Ababa, ILRI’s Capacity Development Unit hosted a CGIAR capacity development workshop in Nairobi 21–25 Oct 2013. Participants were experts in organizational development, training design and facilitation, social learning, institutional change, ICT innovations and related fields. ILRI’s Capacity Development Unit is looking to influence change at the following three levels. ILRI’s lead scientist for gender research, Kathleen Colverson, who organized the ‘transformative gender’ workshop in Addis Ababa, participated in the CGIAR-wide capacity development workshop in Nairobi, which was organized by Iddo Dror, head of capacity development at ILRI. At this second workshop, Colverson again emphasized the central role of capacity development in addressing gender issues, an example of which is her recently produced training manual for use in facilitating gender workshops and closing the gender gap in agriculture. Will these transformative gender and capacity development strategies turn out to be truly transformative? Watch this (ILRI, CGIAR) space. . . .
Dorine Odongo is a communications consultant with ILRI’s Livelihoods, Gender, Impacts and Innovation Program; Diana Brandes-van Dorresteijn is a new staff member in ILRI’s Capacity Development Unit. Javier Ekboir, of the Institutional Learning and Change (ILAC) initiative, hosted by Bioversity International, and Nicole Lefore, of the International Water Management Institute IWMI), listen to proceedings of a CGIAR Consortium Workshop, ‘Towards a CGIAR Strategy on Capacity Development’, hosted by ILRI, in Nairobi this week (21–25 Oct 2013); most of the participants are responsible for capacity development or are researchers working in the areas of social learning, innovation or partnership (photo credit: ILRI/Susan MacMillan). A group of CGIAR staff meeting in Nairobi this week is dusting off these views (convictions?) 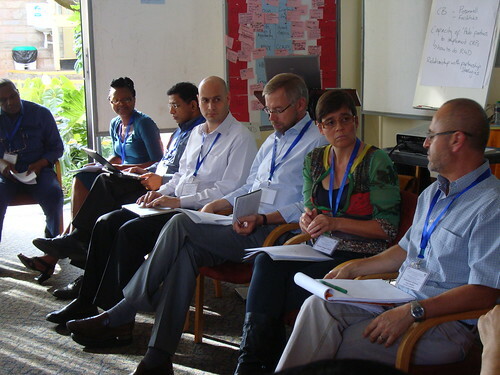 in an attempt to reframe what was once known as ‘training’, later transformed into ‘institutional learning’ or ‘capacity development’ (or one of its several [elegant] variations such as ‘capacity strengthening’ or ‘capacity building’), and reposition it at the centre rather than the periphery of CGIAR business. Left to right: Zoumana Bamba (IITA), Joyce Maru (ILRI), Suresh Babu (IFPRI), Iddo Dror (ILRI), Per Rudebjer (Bioversity), Simone Staiger-Rivas (CIAT), Luis Solórzano (Consortium Office) are members of a panel at the CGIAR Capacity Development Workshop in 2013 (photo credit: ILRI/Susan MacMillan). How this work has found itself off-centre (and how far off-centre) in CGIAR institutions and research programs was briefly reviewed in a panel discussion Monday (21 Oct 2013), the first of five days of a workshop on CGIAR Capacity Development organized and hosted by the International Livestock Research Institute (ILRI) at its Nairobi headquarters. The panel session, led by Simone Staiger-Rivas, head of knowledge management and capacity development at the Colombia-based International Center for Tropical Agriculture (CIAT), comprised seven members who had contributed to a recently published discussion paper, Understanding capacity development experiences and lessons from the past, commissioned by Louis Solórzano, director of staff at the CGIAR Consortium, in France, for the purpose of helping to establish a new CGIAR strategy for capacity development. Although capacity development at each of the 15 agricultural research centres that are members of CGIAR has had a distinctive trajectory, the following are some of the commonalities, as noted by Staiger-Rivas. Throughout the 1970s and 1980s, when CGIAR centres had substantial core funding for training as well as research, many centres built strong training units. Those were among the ‘research support services’ that suffered most from reductions in CGIAR core funding beginning in the 1990s and the restructuring that followed in the next decade. Increasingly in this period, training was embedded directly into research programs. 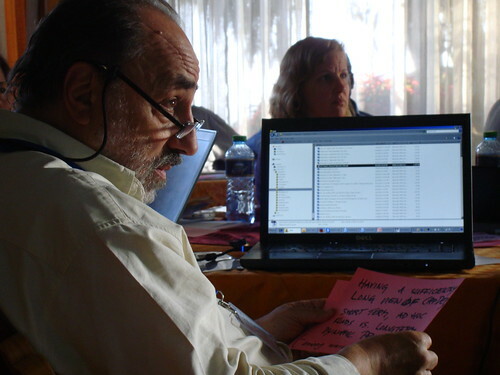 Starting in the 1990s, a major shift in the amount and type of donor funding to CGIAR had a massive impact on how training was organized, funded and implemented across the system. The decline of core funding led to a reduction or elimination in most Centers of training as a stand-alone activity. The Centers relied on the ability of their scientists to attract funding for training within their research projects. Training units were weakened, with few staff qualified in training, pedagogy or adult education. The responsibility for training itself was often passed on to national or regional partners, with mixed results. On the positive side, this decentralization connected the Centers more directly with field activities, which allowed the Centers to involve extension, farmer, and market capacities (Staiger-Rivas et al. 2013). In the following decade, as CGIAR centres grew into ‘middle age’ (most are now between 40 and 50 years old), what is now generally called ‘capacity development’ work widened its ambitions to train individuals and groups to include making impacts at the level of institutions and innovations. The trend towards results-based management in CGIAR includes a perception of [capacity development] as means to enable social learning and innovation and promote sustainable development as a collective achievement (Staiger-Rivas et al. 2013). Here is how this evolution is described by a group at a former CGIAR centre, the International Service for National Agricultural Research (ISNAR), which first brought ‘innovation systems thinking’ to the CGIAR table in the early 2000s. ‘If agricultural research organizations are to be more successful in reducing poverty and increasing the sustainability of agricultural production systems, they must become less isolated, more interconnected and more responsive. In so doing, they must transform themselves into learning organizations, more in touch with field realities and better able to learn and to change. . . .
‘[I]f agricultural research centers are to cope with growing complexity and seize opportunities as they arise, they need not merely new approaches to research organization or practice, but more flexible and adaptive institutional arrangements. . . . [T]he CGIAR must change from a supply-led model of centers of excellence to a more responsive mode of operation in which partnership and client orientation are core principles. . . .
‘If scientists and CGIAR Centers are to contribute meaningfully to innovation, they must become continuous learners, evolving and adapting all the time. . . .
‘CG Centers must attempt to become “learning organizations”—organizations that are open and flexible, that identify and recognize both successes and failures as opportunities to learn and improve, and that build relationships with the many and varied participants involved in agricultural development’ (Watts et al. 2007). The next panel member to speak, Per Rudebjer, of Bioversity International, in Rome, said that training is essential mechanism for partnership. ‘CGIAR has trained some 80,000 people, in formal as well as informal ways. With the funding reductions in the 1990s, centres started training fewer people and offering shorter training courses. In the next decade, we began to take on organizational as well as individual learning. Now we are seeing another change: training in support of outcome delivery. Training is necessary but not sufficient for capacity development. Iddo Dror (ILRI), head of ILRI’s capacity development unit, in Nairobi, spoke on the current state of capacity development in CGIAR. The capacity development strategy is not as mature as some of the other cross-cutting work in CGIAR research programs, Dror said. Although lots of the things we’re grappling with were foreseen, Dror said, they still have little ‘meat’ on them. While CGIAR’s Strategic Results Framework anticipates an expansion in capacity development activities, the role and modalities of capacity development in the new CGIAR structure has not yet been fully fleshed out. What’s needed now, said Dror, is capacity for applied or downstream agricultural research for development. We need a new framework, one that helps us move innovations from the lab to the farmers, one that changes what we do as well as how we do it. Dror then briefly reviewed what Purvi Mehta-Bhatt and Jan Beniest found in their 2011 report as shortcomings in a comprehensive review of capacity development for the CGIAR research programs. These include the following. Capacity development plans are extremely ambitious but have insufficient focus. Most capacity development plans make explicit mention of other cross-cutting kinds of work and expertise—in gender, youth, communications—but it remains unclear as to how these various work agendas interact. CGIAR research programs tend to provide ‘laundry lists’ of capacity development-related activities but are unclear about how these will be coordinated. Some community of practice or other ways of aligning this work is needed. We’re also grappling with different views of capacity development, Dror said. We have 1960s views, 1980s views, 21st century views, all of them working alongside each other, but not in tandem. As capacity development practitioners, we haven’t kept up the pace. Our new capacity development approaches have huge implications for how we do research; this is not yet understood by all of us. We need to look at how we can better embed capacity development in agricultural research for development, at how we can help sharpen, deepen and widen the impact pathways from research products to intermediate development outcomes to system-level outcomes. Zoumana Bamba, of the International Institute of Tropical Agriculture (IITA), spoke on institutional capacity development and the new need for new skill sets among researchers. We need to research how to up-scale and out-scale our outputs, Bamba said. We don’t know enough about the mechanisms of those processes. Suresh Babu, of the International Food Policy Research Institute (IFPRI), spoke on monitoring and evaluation. We need quantitative and qualitative indicators, Babu said. IFPRI implemented a monitoring system just last year. If CGIAR is going to be serious about capacity development, it has to be serious about putting in place a monitoring and evaluation system for capacity development. Babu noted the long struggle in capacity development work to measure its impacts, reminding participants that what you cannot measure you cannot manage. The big changes and reduced funding for CGIAR in the 1990s led to piecemeal approaches, he said. The idea that capacity development was an ‘impact-making’ activity fell away. In some centres, capacity development work was put under the care of new knowledge management teams; in others, it became part of communications; in still others, it ceased as a discrete function altogether. Dileepkumar Guntuku, of the International Crops Research Institute for the Semi-Arid Tropics (ICRISAT) (photo credit: ILRI/Susan MacMillan). In their recent (2012) book Capacity Building for Agricultural Research for Development: Lessons from Practice in Papua New Guinea,”Adiel N. Mbabu and Andy Hall describe ISNAR as follows. ISNAR was unique in the CGIAR system in that unlike all the other international centres it had an explicit capacity building agenda rather than research (although as will be related, this eroded over time). The institute was also unique in that it was staffed by an eclectic set of professionals: economists, sociologists, human resource specialists, organisational development specialists, research management specialists, evaluators and policy researchers. As a result of this, it drew on professional perspectives outside of agricultural research. Many of these perspectives were already using systems ideas, particularly in the fields of evaluation, and organisational development. So, for example, ISNAR’s capacity development activities were already making use of learning and evaluation as ways of upgrading organisational performance (see Horton et al., 2003). The organisation was also unique in that it was focusing on retooling professional skills of agricultural researchers and research managers to help them cope with the changing context of agricultural development. This led to the rolling development of a series of capacity development modules aimed at helping research staff learn their way into new roles and ways of working” (Staiger-Rivas et al. 2013). Next week, staff of the International Livestock Research Institute (ILRI) and many other CGIAR centres and research programs are attending the 6th Africa Agriculture Science Week (AASW6), which is being hosted by the Forum for Agricultural Research in Africa (FARA) and the Government of Ghana and runs from Monday–Saturday, 15–20 Jul 2013. CGIAR is a global partnership for a food-secure future that conducts and disseminates research to improve the lives, livelihoods and lands of the world’s poorest people. CGIAR research is conducted by 15 of the world’s leading agricultural development research centres and 16 global research programs, all of them partnering with many stakeholders in Africa. More than half of CGIAR funding (52% in 2012) targets African-focused research. The theme of next week’s AASW6 is ‘Africa Feeding Africa through Agricultural Science and Innovation’. CGIAR is supporting African-driven solutions to food security by partnering with FARA and the African Union, the Comprehensive Africa Agriculture Development Programme (CAADP), sub-regional organizations, national agricultural research systems and many other private and non-governmental as well as public organizations. 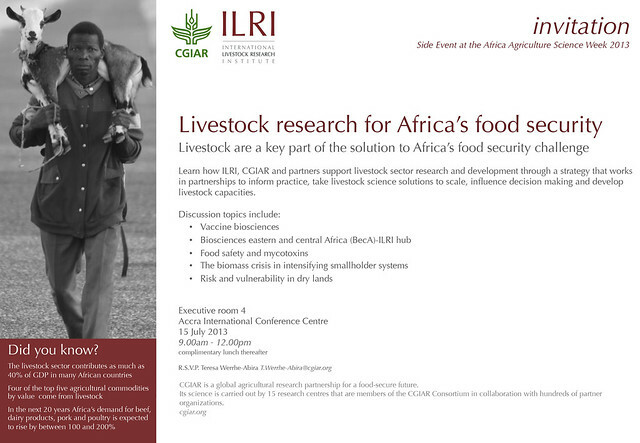 Ten ILRI scientists and staff will briefly speak and then engage with other participants in a side event ILRI is organizing at AASW6 on the topic of Livestock research for Africa’s food security. This three-hour morning side event will be facilitated by ILRI’s knowledge management and communication specialist, Ewen Le Borgne, and will be highly participatory in nature. If you plan to attend this session, please shoot an email confirmation to Teresa Werrhe-Abira(t.werrhe-abira [at] cgiar.org) so we can organize refreshments. And if you’d like to use this opportunity to talk with or interview one of the ILRI staff members below, or just meet them, please do so! ILRI communication officers Muthoni Njiru (m.njiru [at] cgiar.org) and Paul Karaimu (p.karaimu [at] cgiar.org) will be on hand at the ILRI side session (and you’ll find one or both at the CGIAR booth most of the rest of the week) to give you any assistance you may need. Among the speakers at the ILRI side session will be the following. Jimmy Smith, a Canadian, became director general of ILRI in Oct 2011. Before that, he worked for the World Bank in Washington, DC, leading the Bank’s Global Livestock Portfolio. Before joining the World Bank, Smith held senior positions at the Canadian International Development Agency. Still earlier in his career, he worked at ILRI and its predecessor, the International Livestock Centre for Africa (ILCA), where he served as the institute’s regional representative for West Africa and subsequently managed the ILRI-led Systemwide Livestock Programme of the CGIAR, involving ten CGIAR centres working at the crop-livestock interface. Before his decade of work at ILCA/ILRI, Smith held senior positions in the Caribbean Agricultural Research and Development Institute (CARDI). Smith is a graduate of the University of Illinois at Urban-Champaign, USA, where he completed a PhD in animal sciences. He was born in Guyana, where he was raised on a small mixed crop-and-livestock farm. John McIntire (USA) is ILRI deputy director general for research-integrated sciences. He obtained a PhD in agricultural economics in 1980 from Tufts University using results of farm-level field studies of smallholder crop production in francophone Africa. He subsequently served as an economist for the International Food Policy Research Institute (IFPRI), in Washington, DC, and the West Africa Program of the International Crops Research Institute for the Semi-Arid Tropics (ICRISAT), in Burkina Faso and Niger, and the International Livestock Centre for Africa (ILCA), one of ILRI’s two predecessors, in Ethiopia. He is co-author of Crop Livestock Integration in Sub-Saharan Africa (1992), a book still widely cited 20 years later. McIntire joined the World Bank in 1989, where he worked (in Mexico, Côte d’Ivoire, Senegal, The Gambia, Cape Verde, Guinea, Tanzania, Uganda and Burundi) until his retirement in 2011. In 2011, he became the second person to receive both the Bank’s ‘Good Manager Award’ and ‘Green Award for Environmental Leadership’. Shirley Tarawali (UK) is ILRI director of institutional planning and partnerships. Before taking on this role, Tarawali was director of ILRI’s People, Livestock and the Environment Theme, with responsibilities spanning sub-Saharan Africa and Asia. She holds a PhD in plant science from the University of London. Previously, Tarawali held a joint appointment with ILRI and the International Institute of Tropical Agriculture (IITA), based in Ibadan, Nigeria. Her fields of specialization include mixed crop-livestock and pastoral systems in sub-Saharan Africa and Asia. Delia Grace (Ireland) is an ILRI veterinarian and epidemiologist who leads a program at ILRI on food safety and zoonosis. She also leads a flagship project on ‘Agriculture-Associated Diseases’, which is a component of the CGIAR Research Program on Agriculture for Nutrition and Health, led by the International Food Policy Research Institute (IFPRI), USA. Grace has broad developing-country expertise in food safety, risk factor analysis, ecohealth/one health, gender and livestock, participatory methods, randomized trials and health metrics. What are risk-based approaches to food safety in informal markets where most of the poor buy & sell? How should we deal with food safety dynamics: livestock revolution, urbanization, globalization? How can we better understand the public health impacts of aflatoxins? Polly Ericksen (USA) leads drylands research at ILRI and for the CGIAR Research Program on Drylands Systems in East and Southern Africa, where, in the coming years, the program aims to assist 20 million people and mitigate land degradation over some 600,000 square kilometres. That CGIAR research program as a whole is led by the International Centre for Agricultural Research in the Dry Areas (ICARDA), Syria. Ericksen also leads a Technical Consortium for Ending Drought Emergencies and Building Resilience to Drought in the Horn of Africa. Her broad expertise includes food systems, ecosystem services and adaptations to climate change by poor agricultural and pastoral societies. How can commercial pastoral livestock production lead to growth in risk-prone drylands? Is there a long-term role for livestock insurance in pastoral production systems? Iain Wright (UK) is ILRI director general’s representative in Ethiopia and head of ILRI’s Addis Ababa campus, where over 300 staff are located. He also directs ILRI’s Animal Science for Sustainable Productivity program, a USD15-million global program working to increase the productivity of livestock systems in developing countries through high-quality animal science (breeding, nutrition and animal health) and livestock systems research. Before this, Wright served as director of ILRI’s People, Livestock and the Environment theme. 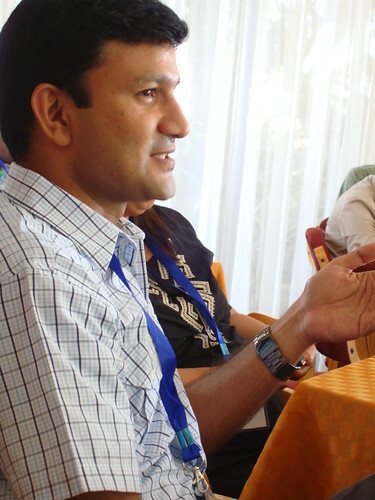 And before that, from 2006 to 2011, he was ILRI’s regional representative for Asia, based in New Delhi and coordinating ILRI’s activities in South, Southeast Asia and East Asia. Wright has a PhD in animal nutrition. Before joining ILRI, he managed several research programs at the Macaulay Institute, in Scotland. Alan Duncan (UK) is an ILRI livestock feed specialist and joint leader of the Nile Basin Development Challenge Programme. Duncan joined ILRI in 2007, also coming from Scotland’s Macaulay Institute. Duncan has a technical background in livestock nutrition but in recent years has been researching institutional barriers to feed improvement among smallholders. He also works on livestock-water interactions, which are a key issue in Ethiopia, where he is based, particularly in relation to the competition for water occurring between the growing of livestock feed and that of staple crops. Duncan manages a range of research-for-development projects and acts as ILRI’s focal point for the CGIAR Research Program on Integrated Systems for the Humid Tropics, which is led by the International Institute of Tropical Agriculture (IITA), Nigeria. Michael Blümmel (Germany) is an ILRI animal nutritionist with PhD (1994) and Habilitation (2004) degrees from the University of Hohenheim, in Germany. He has more than 20 years of experience in research, teaching and development in Europe, the US, Africa and Asia. Blümmel’s major research interests include feeding and feed resourcing at the interface of positive and negative effects from livestock, multi-dimensional crop improvement concomitantly to improve food, feed and fodder traits in new crop cultivars, and optimization of locally available feed resources through small business enterprises around decentralized feed processing. What are the options for sustainable intensification through livestock feeding? Ethel Makila (Kenya) is ILRI communications officer for the Biosciences eastern and Central Africa-ILRI Hub. She is a graphic designer expert in development communication, media and education. At the BecA-ILRI Hub, she is responsible for increasing awareness of the Hub’s activities, facilities and impacts among African farmers, research institutes, government departments, Pan-African organizations and the international donor and research communities. How can we build bio-sciences capacity in Africa to move from research results to development impacts? How can we keep the BecA-ILRI Hub relevant to the research needs and context of African scientists? Suzanne Bertrand (Canada) is ILRI deputy director general for research-biosciences. With a PhD in plant molecular biology from Laval University, Bertrand began her career as a scientist with Agri-Food Canada, working on forage plants. Her focus shifted rapidly from laboratory-based research to application of modern agri-technology in the developing world. Her overseas assignments included spells in the People’s Republic of China and Tunisia. She spent six years in the USA, first as research assistant professor at North Carolina State University, and then as a founding principal for a biotechnology start-up company. She then joined Livestock Improvement (LIC), a large dairy breeding enterprise in New Zealand, where she managed LIC’s Research and Development Group, delivering science-based solutions in the areas of genomics, reproductive health, animal evaluation and commercialization to the dairy sector. In 2008, Bertrand became director, International Linkages for the Ministry of Research, Science and Technology in New Zealand. She was later chief executive officer for NZBIO, an NGO representing the interests and supporting growth of the bioscience sector in New Zealand. How do we stimulate and sustain an African vaccine R&D pathway to achieve impact? How can we grow a biotech and vaccine manufacturing sector in Africa? Find more information about AASW6, including a full agenda, and follow the hashtag #AASW6 on social media.